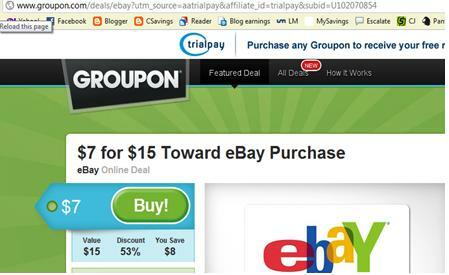 Centsible Savings: $7 for $15 towards eBay Groupon still available! The $15 gift certificate to eBay that Groupon is offering for $7 is still available, but only for a few more hours!! The direct link to this offer is www.groupon.com/deals/ebay.